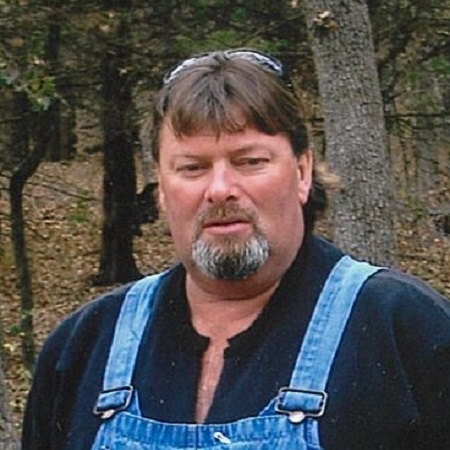 Services for Rickey Dale Edington, 64, of Gainesville, Texas, will be held at Meador Funeral Home, Gainesville, Texas, at 2:00 pm, April 11, 2019. Visitation will be from 6-8 PM on April 10, 2019. Mr. Edington was born on August 2, 1954, in Gainesville, Texas, to Marion Edington and Neva Noggler. He married Donna Roberds on March 13, 1982 in Willis, Texas and together they raised their family in a strong and a loving home. He had a passion for life and was not afraid of hard work. He will be fondly remembered by many family members and friends. Mr. Edington is survived by his wife, Donna of Gainesville; son Jeff and wife Melinda Edington of Gainesville; son Josh Edington of Gainesville; son Josey and wife Kiley Edington of Gainesville; daughter Jackie Neu of Seminole, Texas; son Mickey Hensley of Oklahoma; and daughter Shellan Wilcox of Oklahoma; twenty-five grandchildren and one great-grandchild. He was preceded in death by his parents; sister Debra Preston; and son-in-law Leslie Hess. My Prayers & Condolences to the Ricky Edington Family. I met Ricky in 1976. He was a Great Guy & loved Life & Cars. I knew all his Family. Such Great People. Ricky had an Amazing Personality & a Laugh & Facial Expressions like Nobody. I was so Sorry to hear of his Passing. The years have passed by so fast. u Always. In Jesus Name. Amen 🙌 R.I.P Ricky Dale.